We have implemented 4 Taxes for the Point-of-Sale store operations which is required for Purchase Order and Goods Received Notes. These taxes can be administered for getting accurate billings. We’ve enhanced Kitchen Display System (KDS) in such a way that now you’ll be able to print the same message which the system displays when the order is received on one terminal. This is will enable time saving on POS operations. We’ve added a provision in eZee BurrP! to check the working date on server machine and compare it with the client machine. Notification alerts are sent to user to restart the software and to align with the working dates on same network. 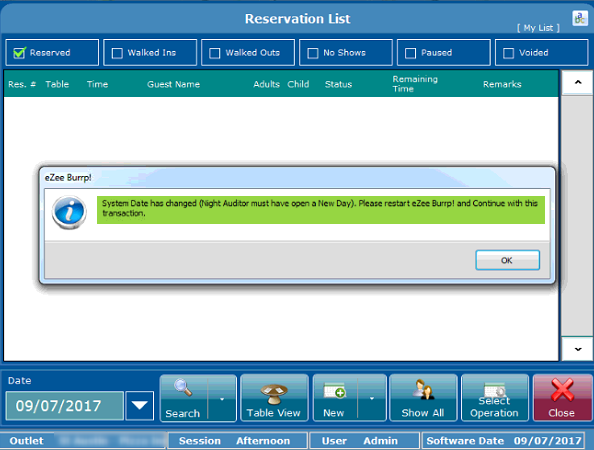 The system will now give an intimation at the time of Split database if the Day close is not performed. We have customized the Bixolon fiscal in such a way that it can print the credit note from the fiscal device while voiding banquet transaction. We have added a user privilege such that you will be able to perform unit entry in a fraction at the time of order punching or split-bill. We have added an option for the waiter commission as now we can set the limit for sale amount in order to get the commission for the waiter accordingly. We have enhanced eZee Call Center with the feature that when the call is received, It will give a pop-up on all the connected terminals. We have enhanced KDS system with the option that now you can directly print the KOT once the order gets pushed from the KDS.